Welcome to this great owner occupied or investment opportunity. Have someone pay a large portion off your mortgage while you live in luxury. 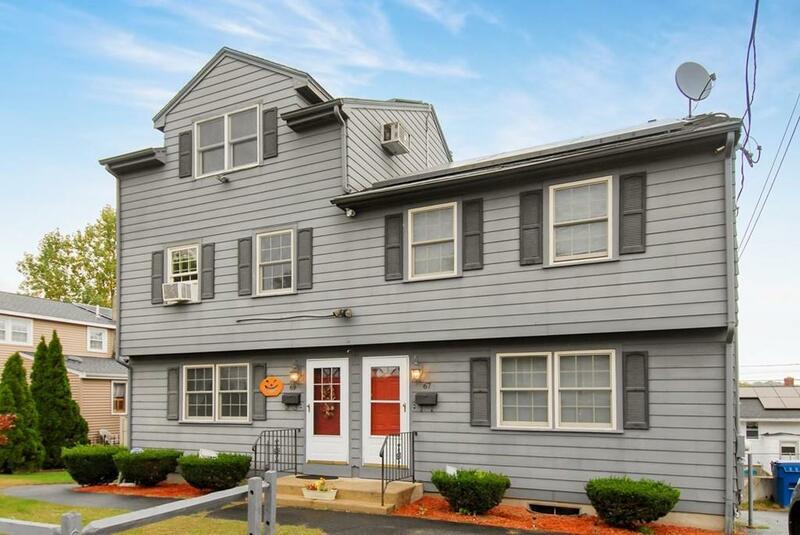 This wonderfully landscaped Duplex In a desirable neighborhood in Lawrence includes many updates. Located near the Methuen line close to 495 and 93. This Meticulous home boasts five bedrooms. One is huge located in the loft includes a large walk in closet and a separate living area. New insulation was blown in 2017. This gem has solar panels providing huge energy savings. There are also newer hot water heaters. Owners side includes granite counter tops in kitchen and bathrooms. Cordova Luxury solid locking floors in kitchen and dining room. Water heaters and solar panels rented. Solar panels serve owner occupied unit only. Sale subject to Seller finding Suitable Housing. Open house 1-27-1 2-pm-4pm. All offers to be reviewed by seller Tuesday 1-29 at 12pm. This Home is turn key and is absolutely in pristine condition. Listing courtesy of Peter Michals of The North Shore Realty Group. Disclosures Leased Solar Panels Unit 69 Only. Two Leased Water Heaters. Certified Land Deed No Book Or Page. All Measurements Are Approximate. Sq Ft Disclosures Measurements Are Approximate. Buyer To Do Their Own Due Diligence. Listing provided courtesy of Peter Michals of The North Shore Realty Group.